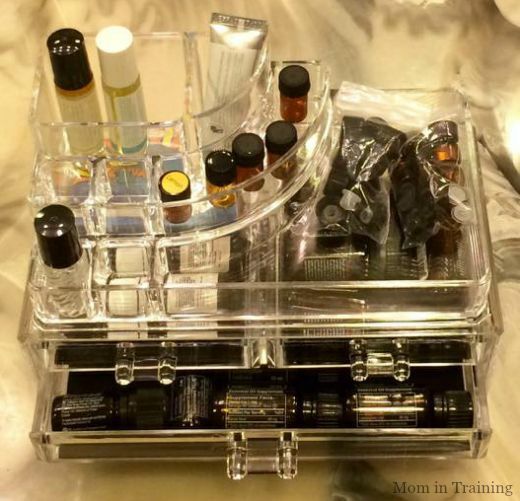 Stacy Tilton Reviews: Estilo 100% Pure Acrylic Cosmetic and Jewelry Organizer - and so much more! Estilo 100% Pure Acrylic Cosmetic and Jewelry Organizer - and so much more! For many this is a great way to organize your cosmetics and jewelry. For me it's the perfect way to organize my essential oils. I've been looking for awhile now for a way to effectively store my oils in such a way that I could actually read what they all were with the names on the side of the bottles, but finding a way to do that had been near impossible. 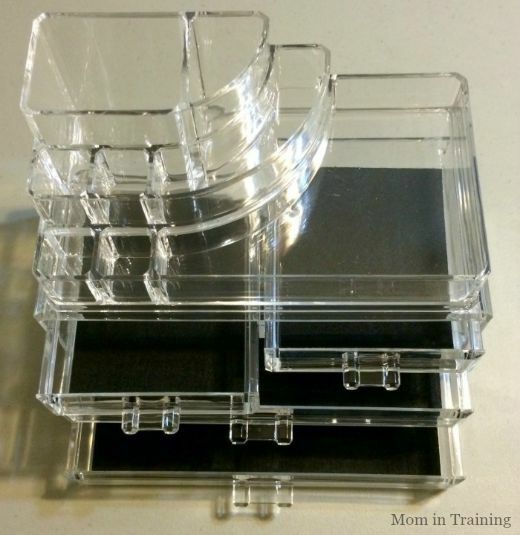 Well, until I stumbled upon this acrylic organizer. First off I really like that the top and bottom are two separate pieces. This is nice because if I want I can store it in two separate places. I can even keep my bottle labels in between the two pieces keeping it flat. I like that the drawers area all lined with black fleece because that helps keep my bottles safe (or maybe jewelry in your case). I was able to lay down my oil bottles in the drawers and it still opens and closes perfectly. I love that I can fit everything I have in them. I use the top for my empty bottles which is really nice too because I can see what all I have. The top would be perfect for anyone with multiple colors of lipstick also. All of the compartments are good sized and have rounded corners which I like so they are easy to keep clean. The organizer is very sturdy acrylic and is built to last. wow this would be awesome for some jewelry! That looks like a great organizer. I'm always looking for things to make our house look less cluttered.